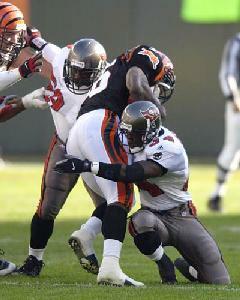 BUCS: Dunn 21-42, Alstott 6-24, B.Johnson 3-(-1). BENGALS: Dillon 23-79, Bennett 1-7. 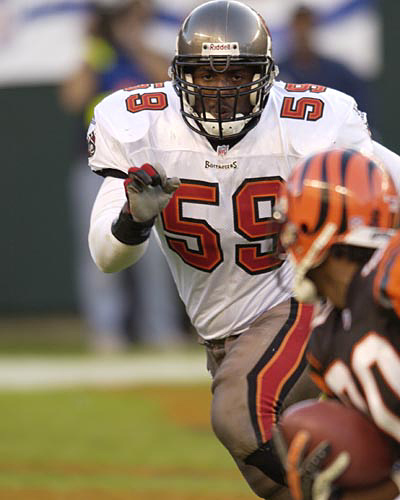 BUCS: K.Johnson 7-85, Green 7-67, Moore 4-32, Alstott 3-31, Dunn 3-5, Cook 1-7, Yoder 1-4. 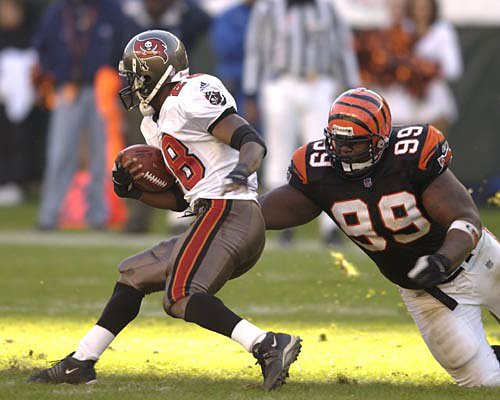 BENGALS: Warrick 5-33, Scott 4-30, Bennett 3-23, Johnson 2-27, Dugans 2-17, Dillon 2-8, McGee 1-6. BUCS: Murphy 2-20, Abdullah 1-29. 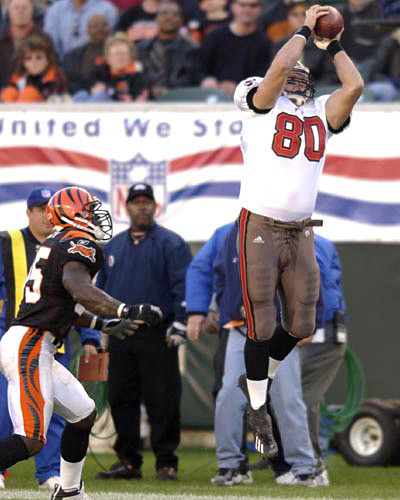 BENGALS: Keaton 2-47, Houshmandzadeh 1-14, Bennett 1-14. BUCS: Rice 2-19, Quarles 1-10. BENGALS: Gibson 2-12, Smith 2-12, Simmons 1-5, Wilson 1-3. Another narrow victory for the Bucs, this time over a poor team but admittedly on the road on a short week after their Monday Night heroics. 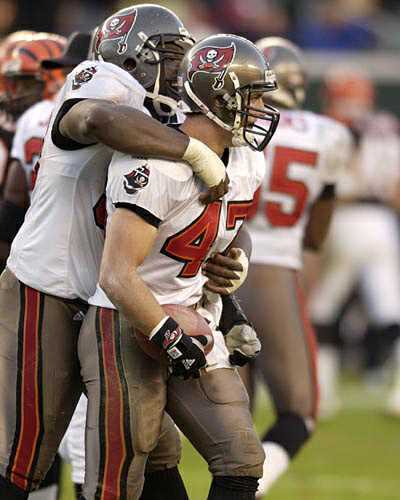 Corey Dillon tied the game late for the Bengals but then coughed up the ball inside his own five-yard line in overtime and the Bucs quickly kicked the winning fieldgoal and returned home with a must win.